Inlays and onlays are types of restorations to fix damaged; decayed or cracked teeth. They are less costly than a crown and are a suitable choice for patients with less than 50% damage to a tooth. Unlike fillings (particularly metal ones) which can actually weaken the structure of a tooth, inlays and onlays add strength and resilience to the tooth. When Is An Inlay Or Onlay Used? Either an inlay or an onlay (depending on where the area of damage is) can be used in cases where the damage is not so severe that the tooth requires a full crown. It allows the patients to save on budget while still effectively addressing tooth damage. 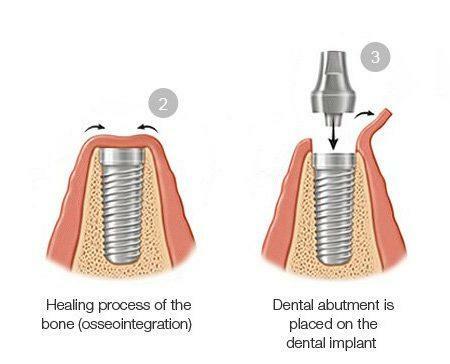 They are also used to replace old metal fillings, as they are the tooth-coloured; more aesthetically pleasing and provide far better support to the tooth. The goal of using inlays or onlays is to preserve as much healthy tooth structure as possible, without having to pare it away to a peg (as is the case in placing a crown). Inlays and onlays are placed either between or over the cusps of the tooth respectively. We have teeth that are shaped differently depending where they are in the mouth, as all teeth play different roles in the act of biting, shearing and chewing up food. The ‘cusp’ is prominent bit of the tooth; the sharp top edges. Canine teeth have one single pointed cusp; premolars further back have two cusps, and the molar teeth at the very back of the mouth have four or five cusps each for serious chewing. What Is The Difference Between An Inlay & An Onlay? An inlay is made to fit inside of the cusp tips to seal and support the tooth. 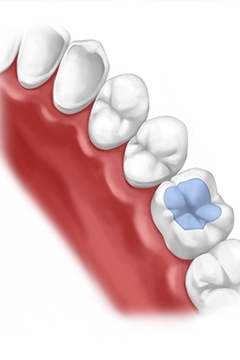 An onlay is more extensive and is placed over the top of the tooth, extending over the cusps like a lid. Onlays treat a larger area; they are placed over the biting surface of the tooth. Although they are sometimes referred to as a ‘partial crown’, onlays do not require any paring of the natural tooth and are colour matched for excellent restoration. They are extremely durable and can be made from a variety of materials including composite resin; porcelain or even gold. If the inlay/onlay is at the front of the mouth, patients usually opt for material matched to the colour of their teeth so the repair is very subtle. They withstand pressure and extremes of temperature for an extensive period of time; and are a good option for patients with salvageable tooth structure. 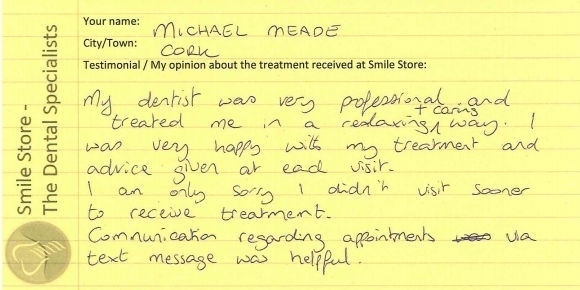 It will require two visits to the Smile Store office. Once you’ve had a thorough assessment and it has been determined that you are a suitable candidate for either an inlay or an onlay, the dentist must first tackle the area of damage or decay on your tooth. 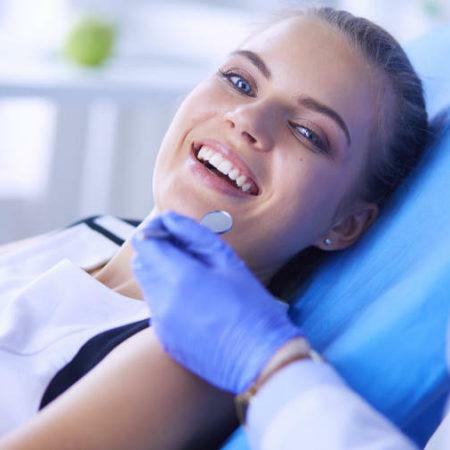 After numbing your mouth with local anaesthetic, any decay is removed and the area is cleaned and prepared – this is a painless procedure as you won’t be able to feel a thing. Then a tray lined with dental putty is used to take an impression or mould of the tooth. It’s sent off to the laboratory, where an inlay or onlay is custom-made to fit exactly into the space on your tooth. 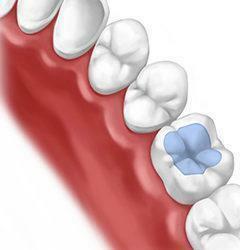 You will be given a temporary cover or filling to protect the tooth until you come back for your inlay/onlay. You have a choice of materials, from tooth-coloured composite resins and porcelain, to gold (can be used for molars at the back of the mouth). 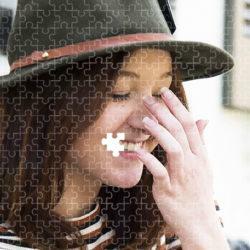 People usually opt for the least noticeable choice of a tooth-coloured material. When you arrive for your second appointment, the inlay or onlay will be cemented into place and blended neatly with the tooth for a very natural appearance. A strong dental resin is used to secure the inlay/onlay, and you won’t be able to see any of the bonding as the finished tooth will look perfectly uniform. Once it’s smooth down and polished, the restoration to your tooth will feel neat and natural. Some patients may find their gum around the treated tooth is a little sensitive after the procedure, but that will disappear after a day or two.